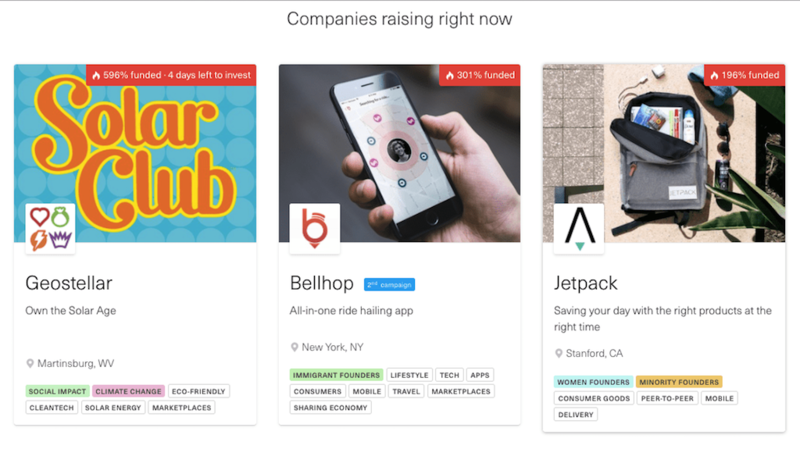 Reg CF fundraising (also known as Regulation Crowdfunding) has been live since May of 2016, which means almost 18 months of data is available from the filings companies must make as part of their offerings. 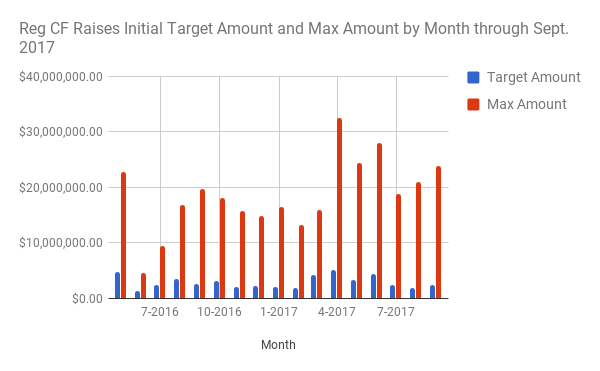 Here’s 5 charts visualizing some of that Reg CF fundraising data that help provide some insight into the state of [Reg CF equity crowdfunding](/crowdfunded-investing-democratizes-capitalism/ as we near the 18-month mark. 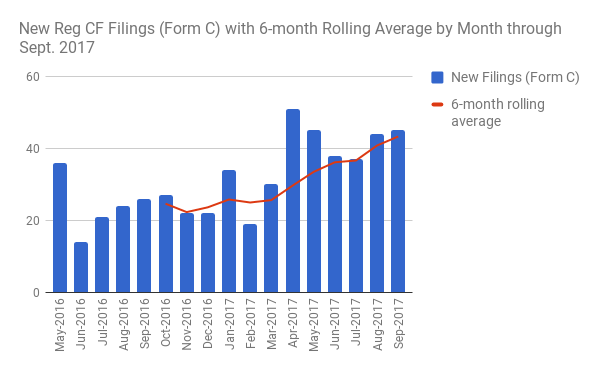 The charts below are all based on “Form C (PDF)” filings with the SEC from May 2016 through Sept. 2017 (Form C is the document companies file to begin an offering — there are a bunch of other variations and forms related to updates, amendments, annual reports, and more, but the data below comes just from those initial Reg CF fundraising Form C offering filings – and in the case of the first graph, also Form C filings to withdraw offerings). What we’re doing here has been legal there for about 5-6 years. 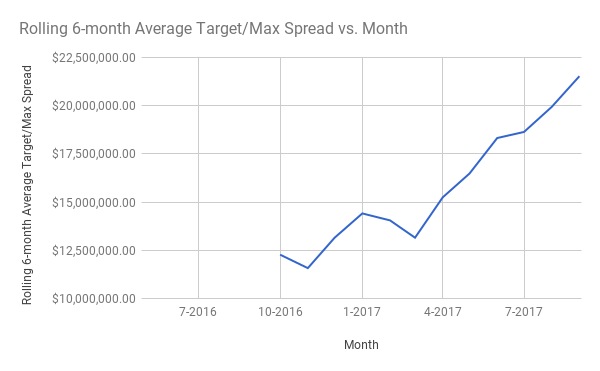 At the outset of Reg CF last May a lot of people had these lofty expectations, but the first year for us actually met our expectations. It was 10X what the UK did in year 1, and the UK has about 1/10 population, so if you follow that traction, it will be 3-5 years to become a $1B industry. 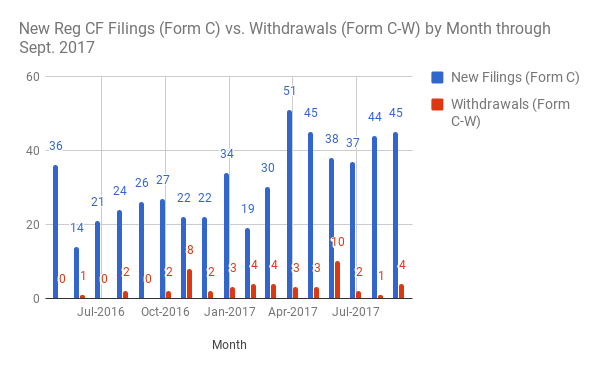 That chart also charts the 49 offering withdrawals (interesting almost a quarter of those were associated with DreamFunded, likely tied to their decision to pivot away from startups and to Real Estate). 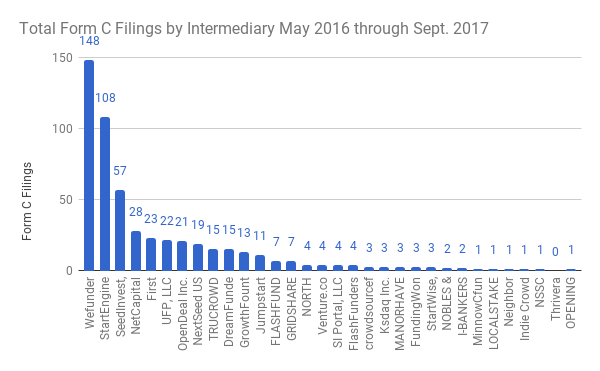 Adding in SeedInvest, as of September 2017 the top 3 portals by volume have been responsible for nearly 60% of all the Reg CF Filings. 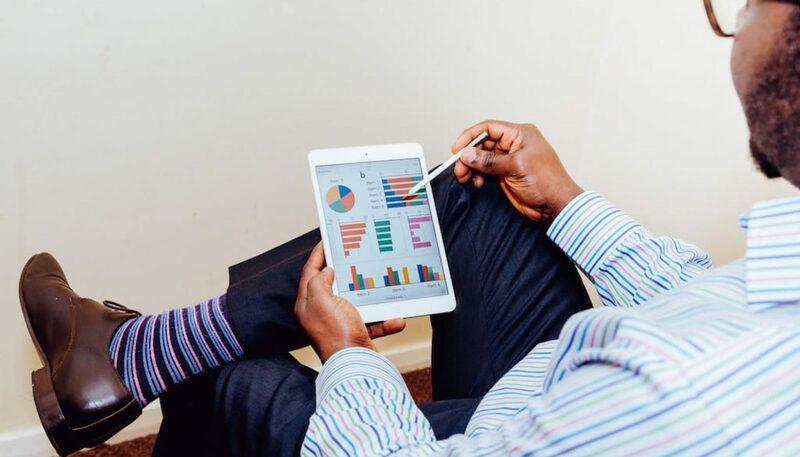 While there’s legitimate concern among entrepreneurs that the filing and reporting requirements of Reg CF (and Reg A+) are onerous, the good news for investors is that it generates a steady stream of information about the companies and the intermediaries helping them with their offerings.